Anyone who has ever worked with or for a law firm understands the vital role played by our staff members. At White & Associates, we are proud of the work done by our people. We care about our clients and each other. Everyone in our office contributes to our mission of seeking justice and helping individuals and families improve their lives. To discuss your legal needs with a member of our law firm, call 763-241-0477 or email our Elk River law firm today. Angie joined White & Associates as our paralegal in May, 2017 with over 10 years of paralegal experience. She enjoys the fast paced, challenging work environment the legal field has to offer. As a paralegal, Angie understands how emotionally difficult and life-altering it can be to be involved in any legal matter. Angie works directly with all of the attorneys and is dedicated in assisting our clients through the legal process to make sure all of their concerns are addressed. Angie’s responsibilities include drafting correspondence and documents in the areas of family law, criminal law, and personal injury. 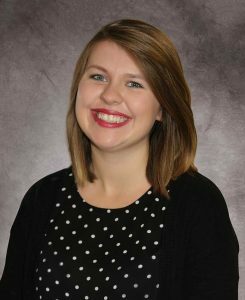 Marissa joined White & Associates as our executive legal assistant in May, 2017. Her favorite part about working at White & Associates is the large variety of work she is able to carry out day to day. Marissa welcomes the opportunity to connect and communicate with various peoples in her role. Her daily responsibilities include greeting guests, answering telephone calls, implementing office organization and drafting correspondences and documents for criminal law.